22 March 2016. A Canadian company is developing diagnostic tests that it says can detect in 1 minute antibodies in blood indicating the early-stage presence of Zika and other mosquito-borne viruses. The company bioLytical Laboratories in Richmond, British Columbia says its proof-of-concept studies show the feasibility of these quick, point-of-care tests to diagnose dengue and chikungunya viruses, as well as Zika. The recent emergence of the Zika virus in South America and the Caribbean is raising concerns among public health authorities over the ability to track the disease, as well as discriminate between Zika and other diseases spread by mosquitoes, including dengue and chikungunya. “We aim to be the first company to successfully develop a point of care diagnostic test which can provide results for Zika, dengue, and chikungunya infections in 60 seconds,” says Rick Galli, bioLytical’s chief technologist in a company statement. The Zika virus causes fever, with rash, joint pain, and conjunctivitis, also known as pink eye. Most symptoms reported are mild, but Centers for Disease Control and Prevention says the virus is linked in Brazil and other places to infections in pregnant women and subsequent birth defects, most notably microcephaly, as well as Guillain-Barré syndrome and other neurological disorders. There are no vaccines to prevent or treatments for Zika virus infections. Avoidance of mosquitoes is the only known control. The Zika virus is spread by Aedes species mosquitoes, also associated with dengue and chikungunya viruses. Dengue is viral disease transmitted by infected mosquitoes (not person-to-person) that occurs most frequently in tropical urban regions of the world. World Health Organization estimates as many as 390 million infections occur each year, with half of the world’s population at risk. Chikungunya results in symptoms similar to arthritis, such joint pain and swelling, but also fever, headache, muscle pain, and rash that can persist for months or years. Beginning in 2013, cases of the disease were reported in the Caribbean, and since spread to countries in South and North America, including the U.S. Before 2013, chikungunya occurred in Africa, Asia, Europe and islands in the Pacific and Indian oceans. bioLytical Laboratories now provides point-of-care diagnostics for HIV infection that return results in some cases as quickly as 1 minute. Its Insti test technology detects immunoglobulin-G antibodies against HIV in whole blood or serum, using the company’s own HIV antigen. 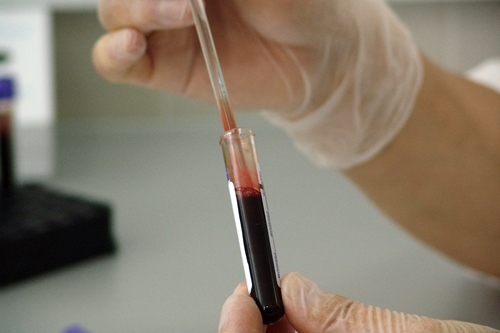 The test for HIV is approved by health authorities in the U.S., Canada, and Europe. The company says it extended the Insti technology to diagnostics for the three mosquito-borne viruses. bioLytical says it first developed a test for Zika that detects characteristic immunoglobulin-M antibodies in blood serum or plasma shortly following infection. The prototype test, says the company, returns results quickly, and like the HIV test, in as little as 1 minute. Because of the presence of dengue and chikungunya in many of the same locations as Zika viruses, the test needs to distinguish among the three virus types. This requirement, notes bioLytical, led to development of similar diagnostics that detect dengue and chikungunya antibodies. The company says it could develop pathogen-specific diagnostics, or design one test for all 3 viruses, detecting characteristic immunoglobulin-G or M antibodies from samples of whole blood, plasma, or serum.